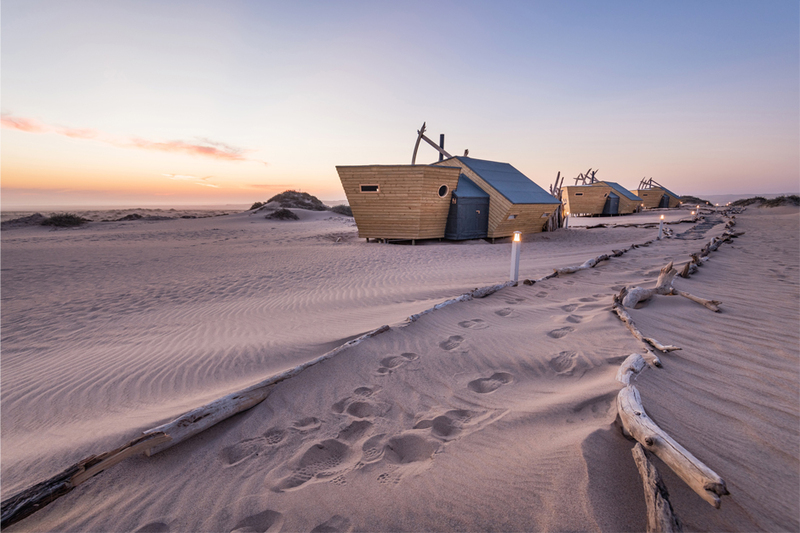 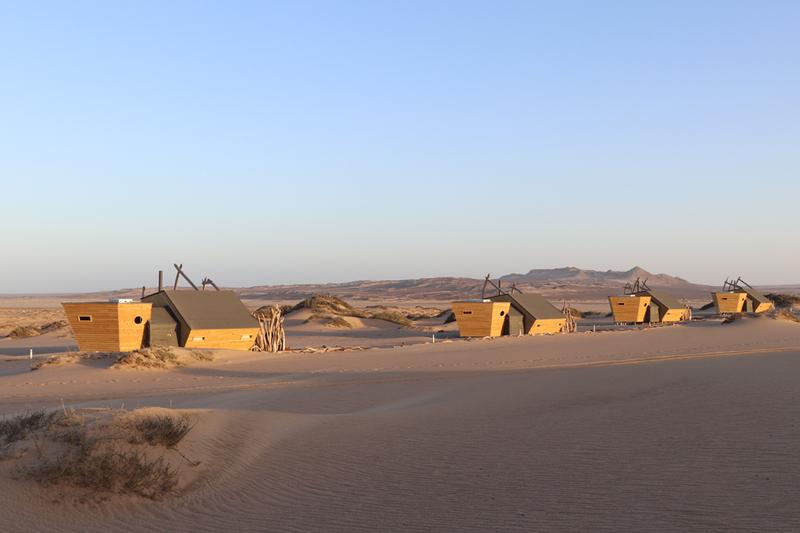 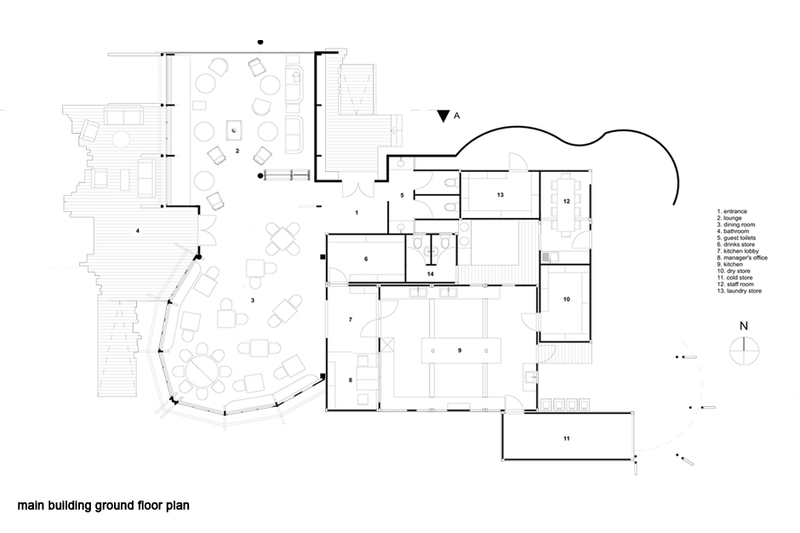 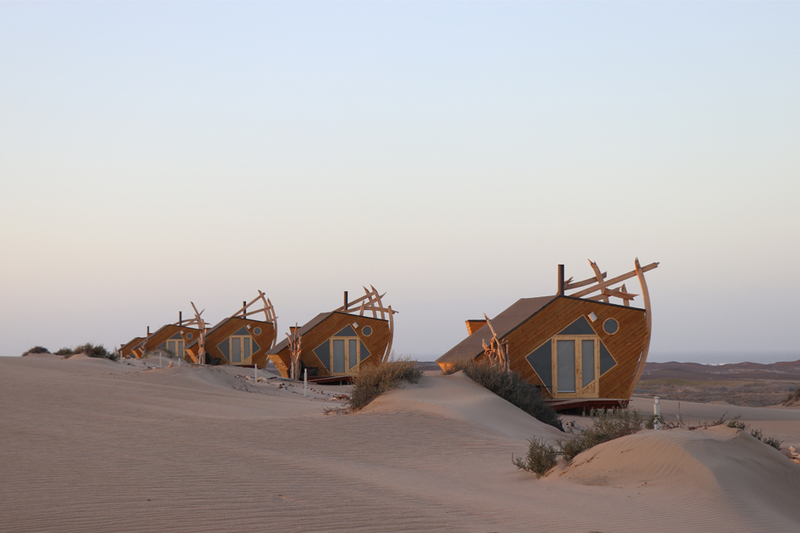 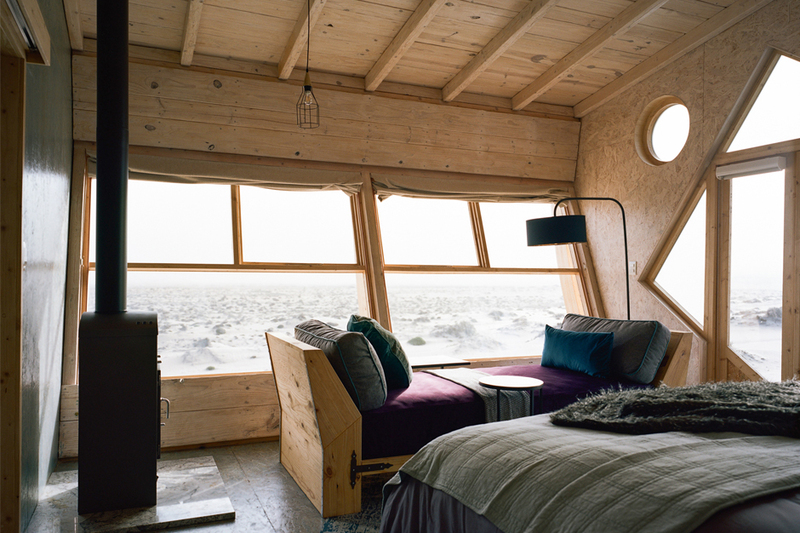 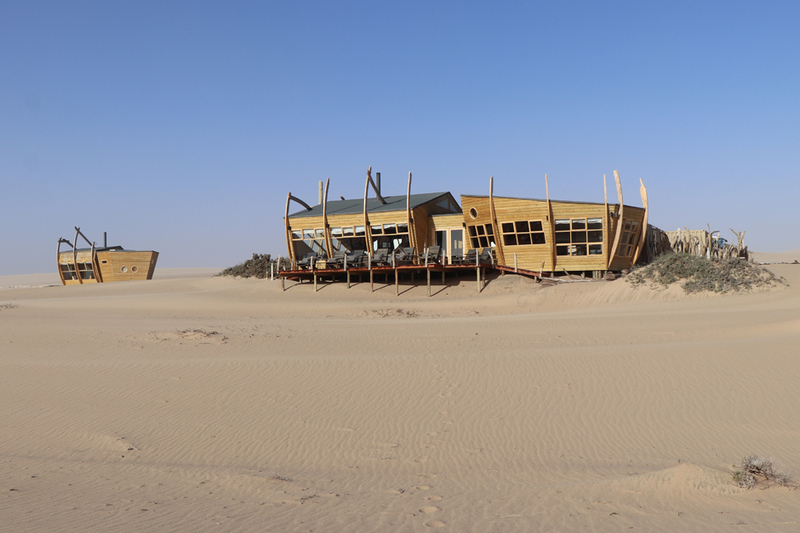 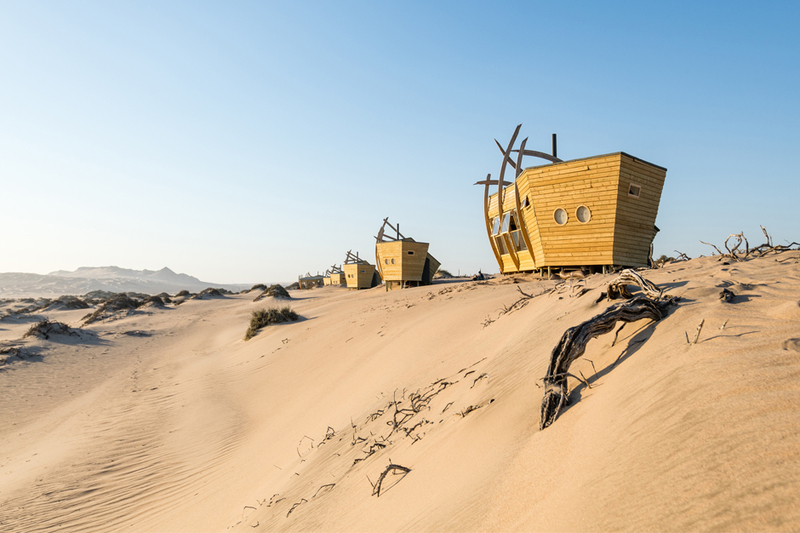 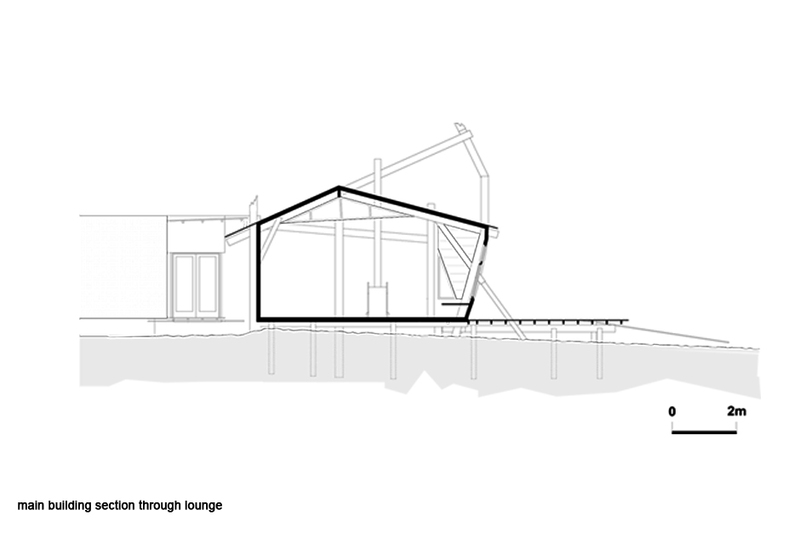 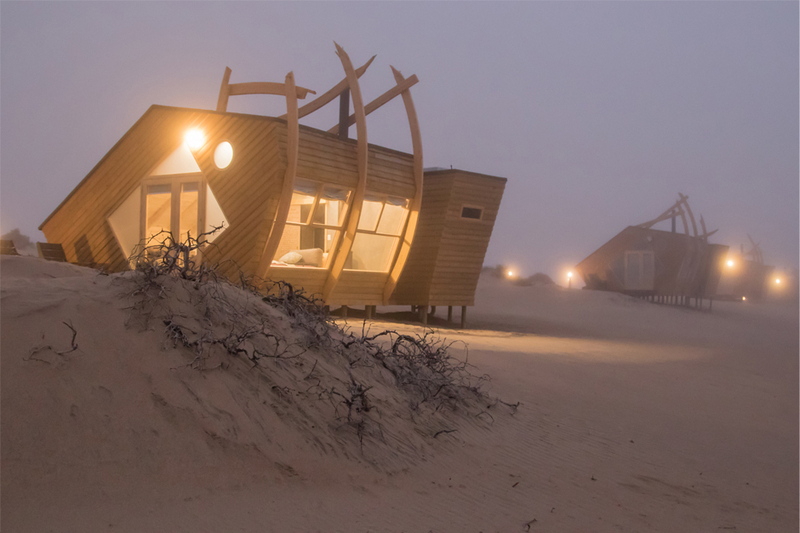 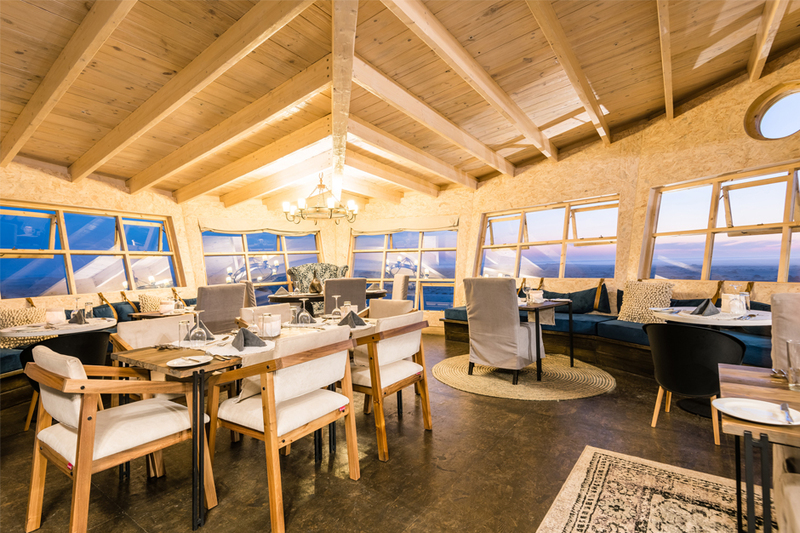 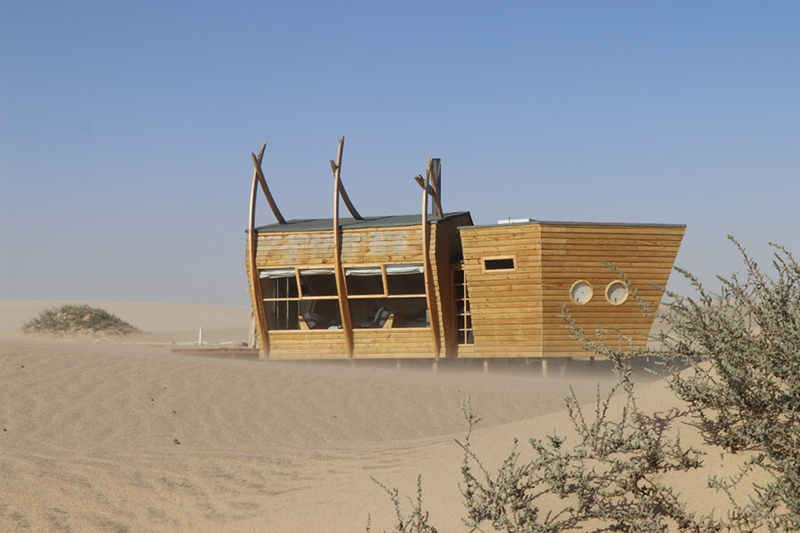 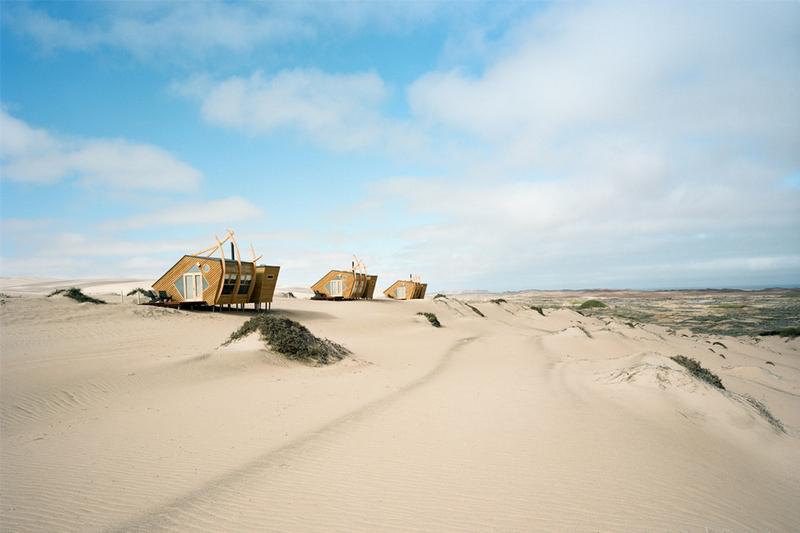 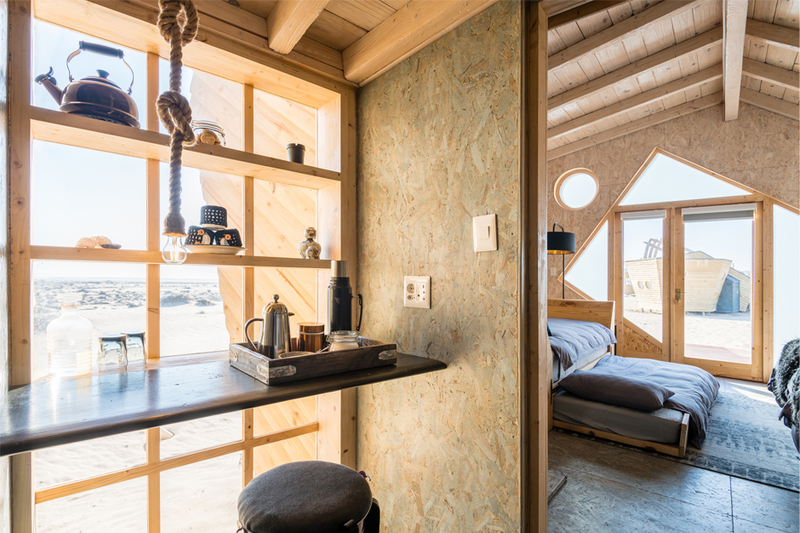 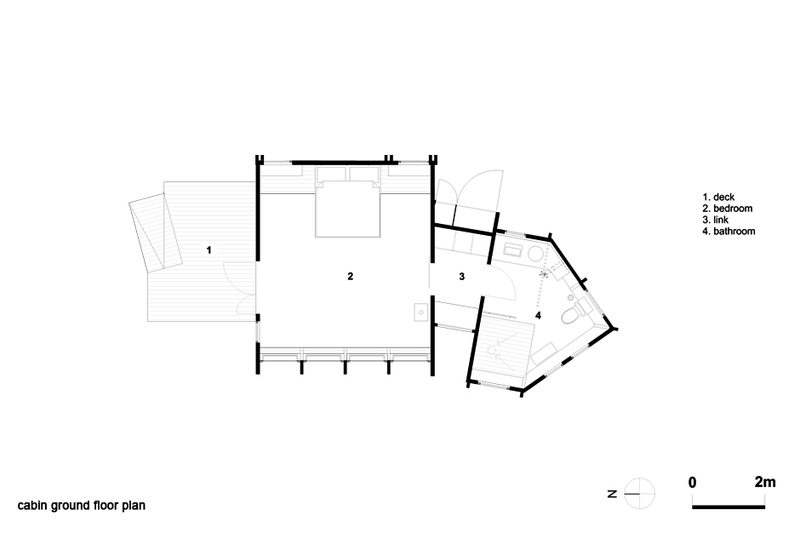 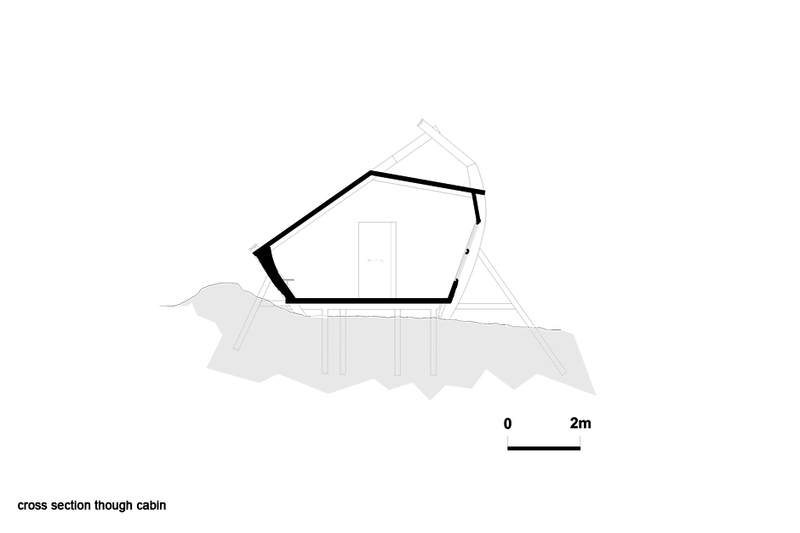 The challenge was to design a 20-bed luxury lodge in an extremely harsh and desolately beautiful Skeleton Coast National Park in Namibia, with almost zero environmental impact and a high level of guest comfort. 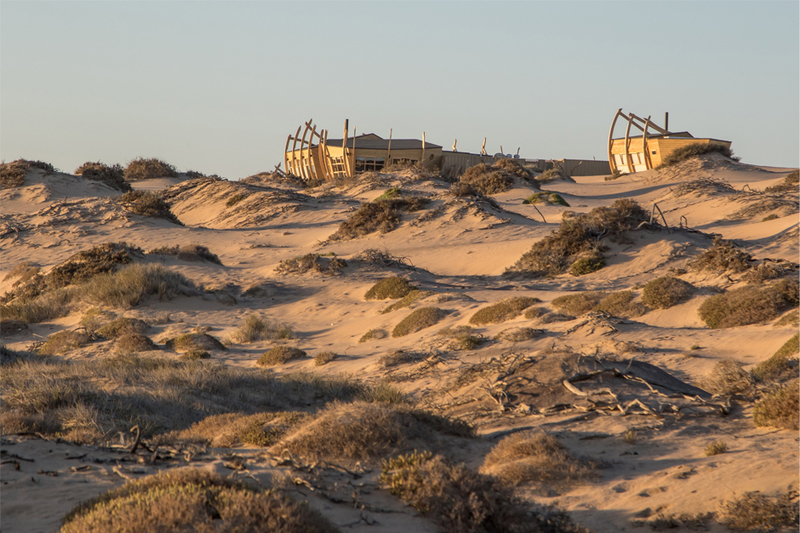 Potential full removal of the infrastructure at the end of the 25 year concession period had to be kept in mind. 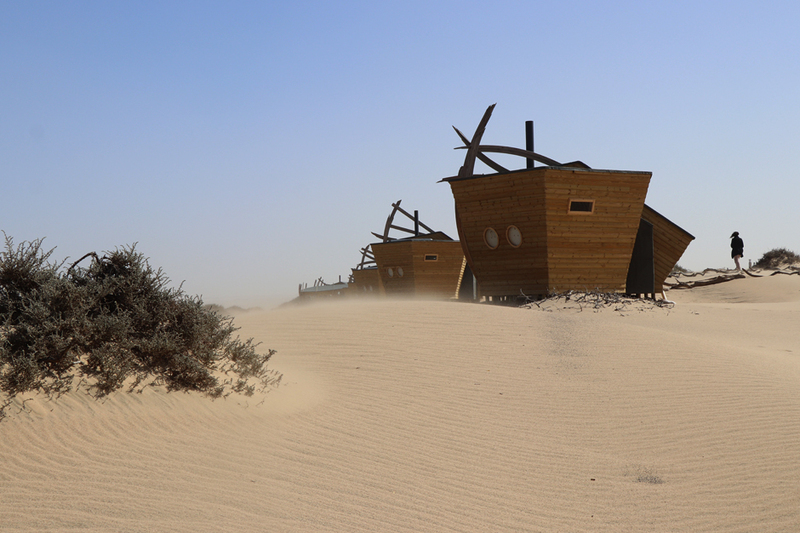 Despite the references to wooden boats, the forms are abstracted, with only a few broken spars adding a light-hearted touch to signal the shipwreck theme. 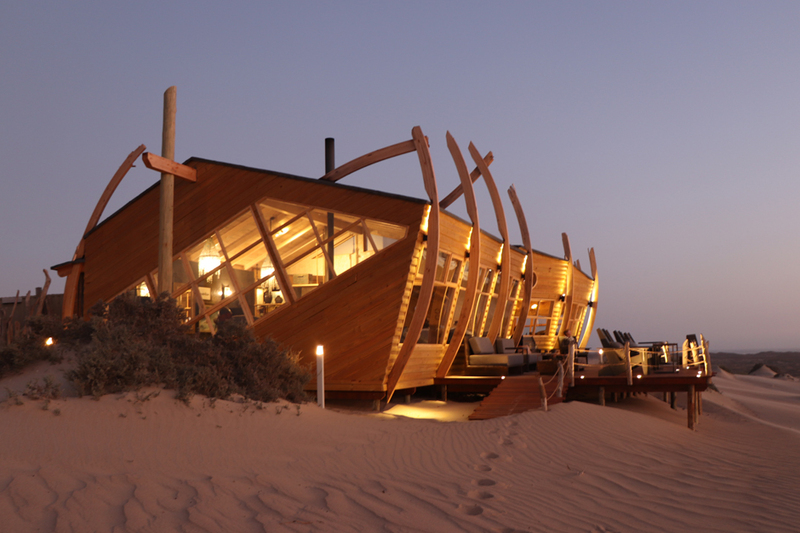 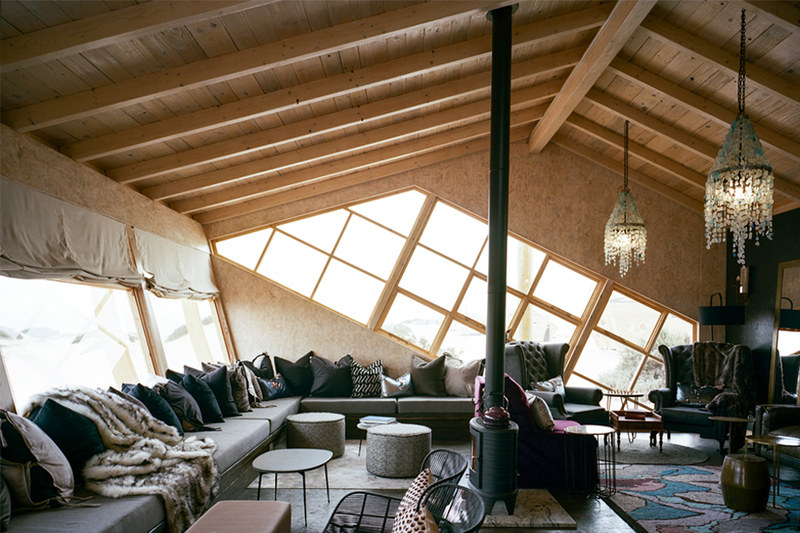 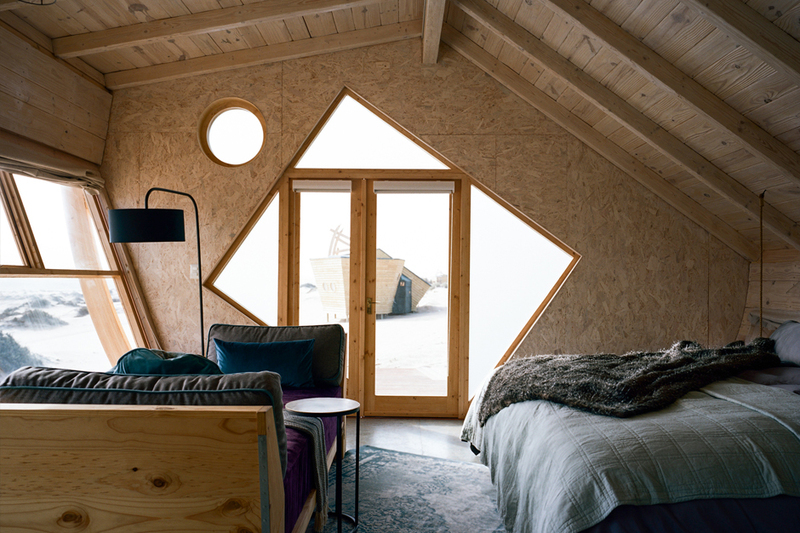 Weathered timber exteriors blend in with driftwood and silver-grey sand.